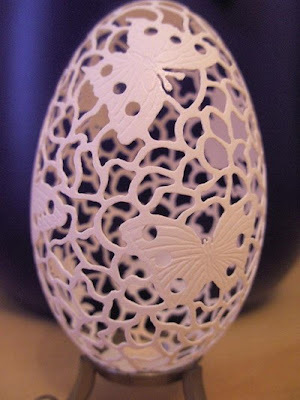 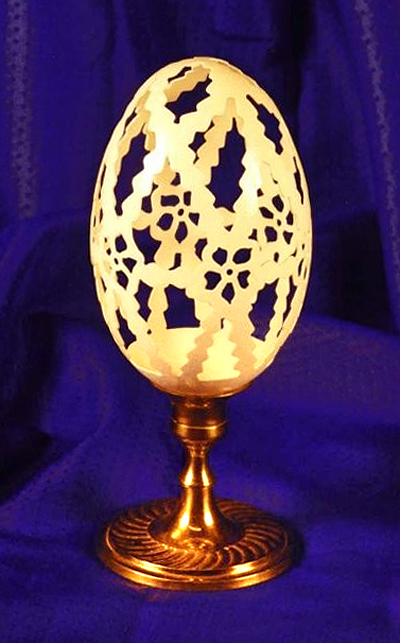 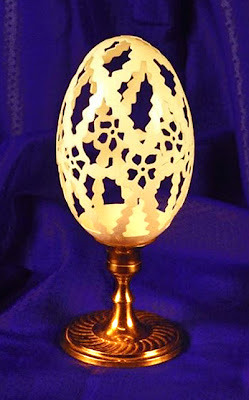 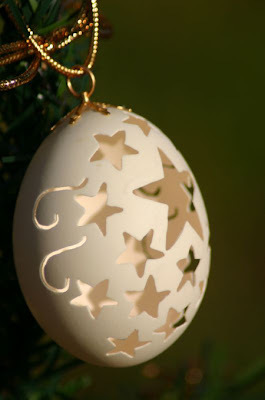 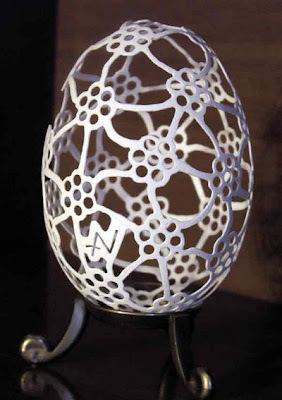 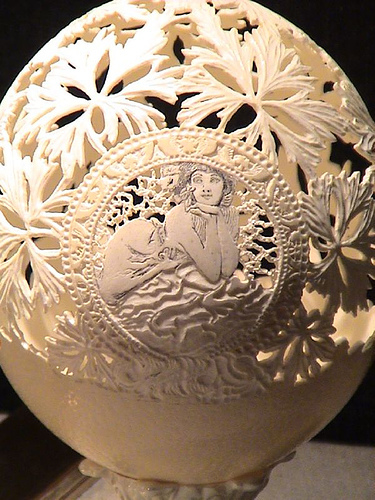 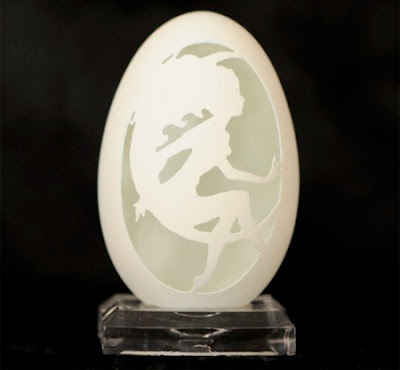 Using only egg shells modern masters do no less filigree than the famous Faberge. 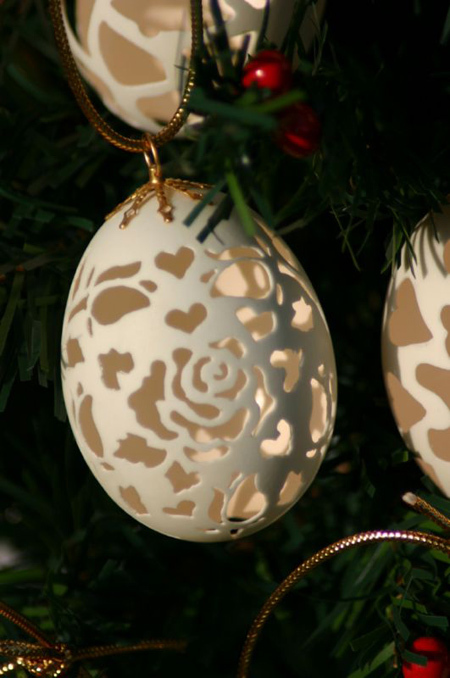 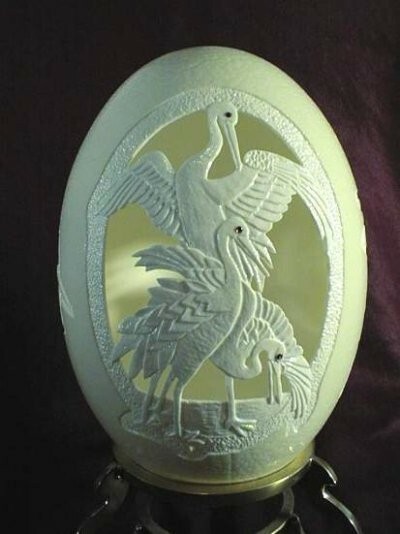 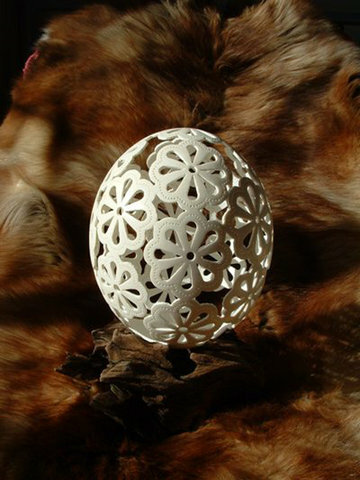 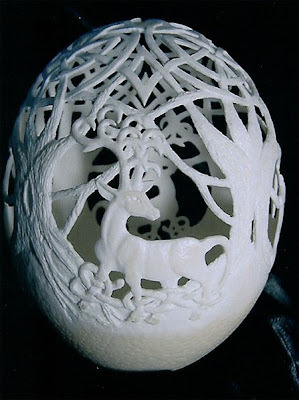 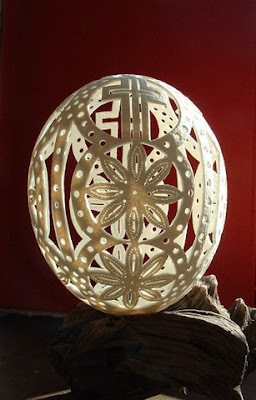 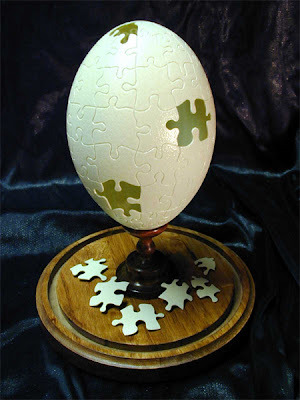 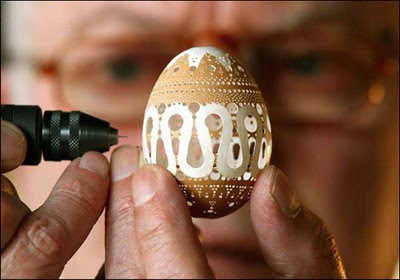 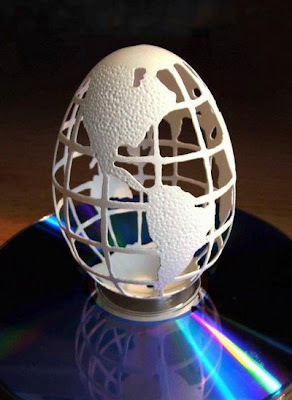 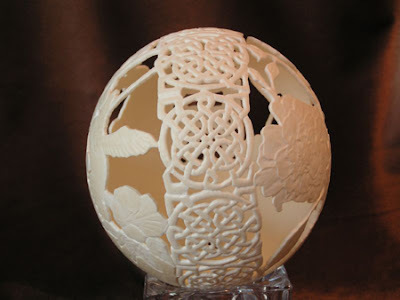 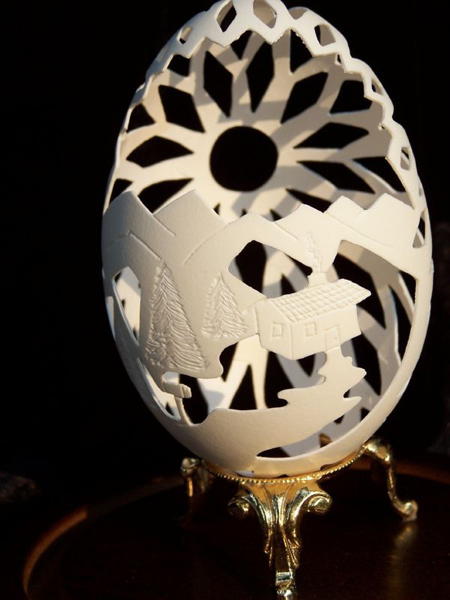 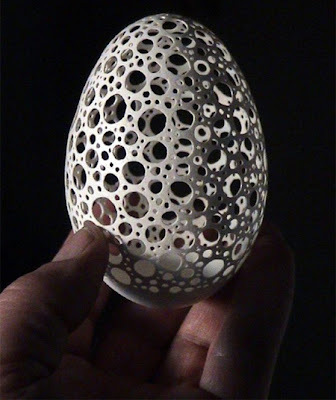 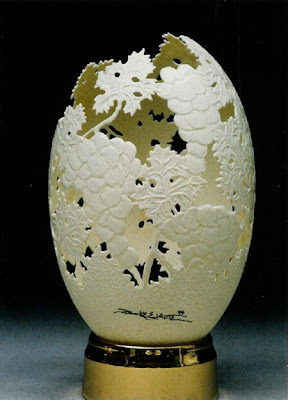 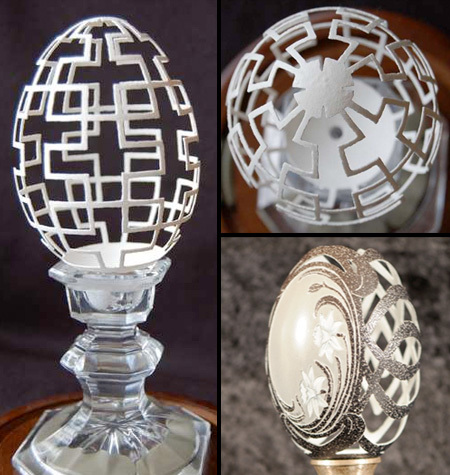 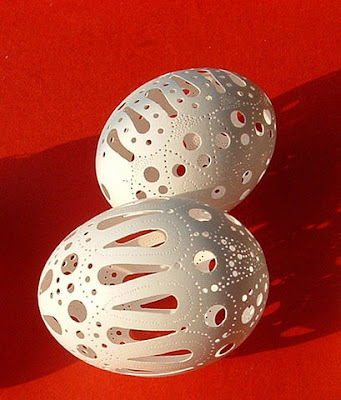 Patterns on the eggshell, which create artists Lew Jensen, Don Lisk, Gary LeMaster and Brian Bayti, just incredible. 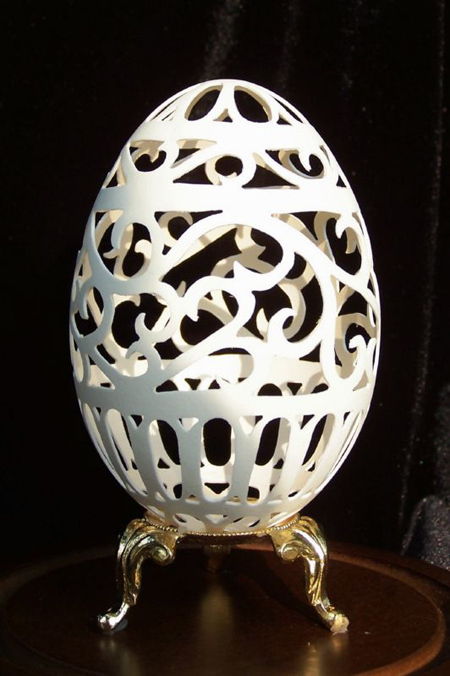 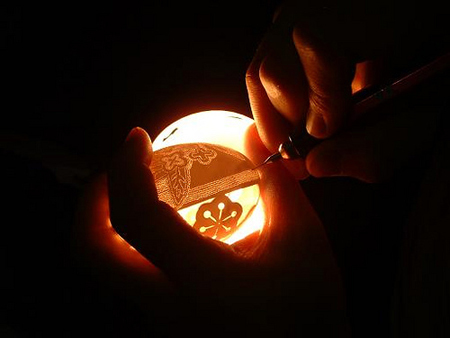 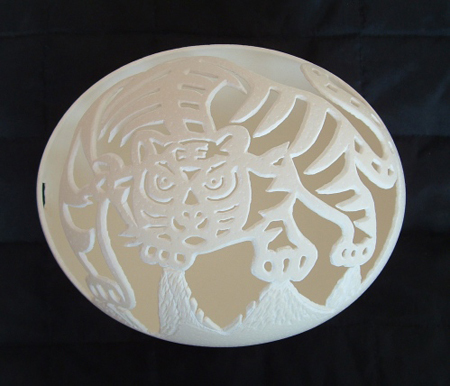 To create an openwork structure of such a brittle material requires great patience and skill. 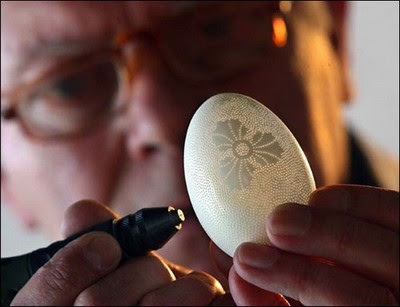 Carefully and gently blow out the egg first "stuffing", thoroughly dried in the shell, put a pencil outline of the pattern to be cut from the shell - and takes over the master with the device, resembling a drill in his hand. 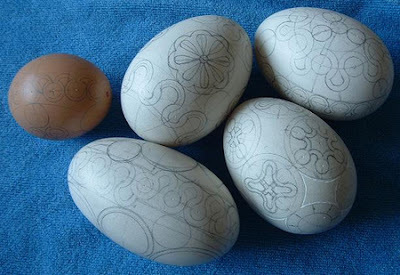 For complex compositions using large ostrich eggs, for the simple - chicken or duck.